In reference to last week’s update on the office of General and that of our call to prayer, I would like to explore a little on the topic of how the Generals of The Salvation Army are elected. Of course usually an election of the General takes place at the end of the term of a General or when they reach the age of retirement. This time, however, circumstances as they are the High Council will convene hopefully some time later this Summer, in order to elect our next General of The Salvation Army. As mentioned last week, General Linda Bond entered retirement abruptly and in the wake of her retirement the Chief of the Staff, Commissioner Andre’ Cox will lead this Army in the interim until the High Council is able to meet. It is interesting to note who makes up the High Council and those with a casting vote. Territorial Commanders from around the world, some times this has numbered 100, last election cycle this numbered 109. These international and IHQ Leaders will gather together for prayer, deliberation and finally a decision. I would welcome your take on the High Councils process, and additional information that perhaps I have overlooked. I also recognize that when the High Council convenes they do so with reverent intent and much prayer. Though every church has its politicking, I would tend to regard this electoral process as prayerful and deliberately considerate of many things including age of specific candidates as well as the needs of our Army as a whole. 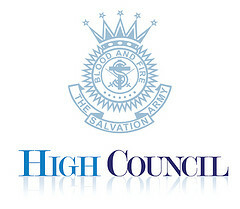 It is interesting to note some of the history of the High Council. The Salvation Army High Council can remove Generals from active service should the present General have health issues which would make them unfit to serve. This has only happened one time in its 109 years in existence when the then General Bramwell Booth was away from International Headquarters for several months time due to ‘health’ and he was asked to resign, when Bramwell, who was then 73 years old, refused a High Council was called and convened to vote for his removal. 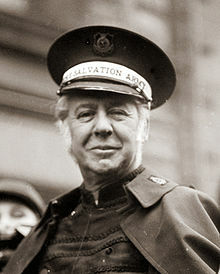 With a vote of 55 to 8, the High Council followed through with its plan to remove General Bramwell Booth as leader of The Salvation Army. The only problem was that General Bramwell Booth wasn’t ready to relinquish his role as General and Commander of the Army. He took his case to parliament (court) and hoped that a different result would come of the British court system getting involved. His attempt, however, failed and after two months of deliberations the court ruled in favor to uphold the High Council’s decision to have Booth removed as General. As mentioned before please continue to keep The Salvation Army leadership in your prayers as well as the Chief of the Staff Commissioner Andre’ Cox as he leads us in the interim. Currently we are unsure as to when this event will take place, but we do know that the High Council will be called and will convene later this summer, 2013. I have heard that in a case such as this (abrupt retirement / resignation), only 7 Commissioners are required to elect a new General. (May want to check the facts on that. It’s probably outlined in the Salvation Army Act 1980.) However, they are going to still call a full High Council. That’s an interesting point! Undoubtably you’re right the full High Council will most likely still be called. No, 7 Commissioners can requisition a High Council to elect a new General. [This can be done if 7 commissioners agree that there is cause for concern about whether or not the General is fit, either physiclly, mentally or spiritually, to remain in office.] But the entire High Council is required to meet, and elect a new General by 2/3 majority vote. Thank you for the correction. I must have misunderstood what was being said when it was explained to me. When referencing the Chief of the Staff, remember his rank of Commissioner. Should read, Chief of the Staff, Commissioner Andre’ Cox. Why does the Salvation Army use High Council when this is a Masonic custom? ***From one of my friends, his response to your very good question: There are many terms that are used that other organizations use. Why do we use “Marching Orders” when this is a military term? Why do we use the term “furloughs” when this is strictly for the military. 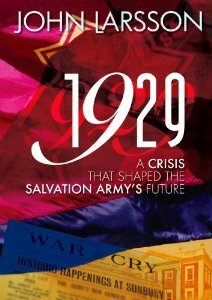 *** I would also like to add that as The Salvation Army was founded in England the terminology of that day/era was used in its creation. We utilize many military terms, as my friend points out but also we have adopted others, this shouldn’t be defined to mean that we hold to the same customs as groups who offer the same name within their infrastructure. The High Council of The Salvation Army is most certainly not linked to the Masons by any means or measure including the purpose for the High Council and its purpose of electing its Generals. I hope that helps! what is the real reason that General Linda was resigned ? I wish we knew, it’s cited as ‘personal reasons, but even after much speculation and questions we still have no answers. We don’t need to know: God does. We just have to trust that she retired because she felt led by God to do so, and keep her in our prayers.